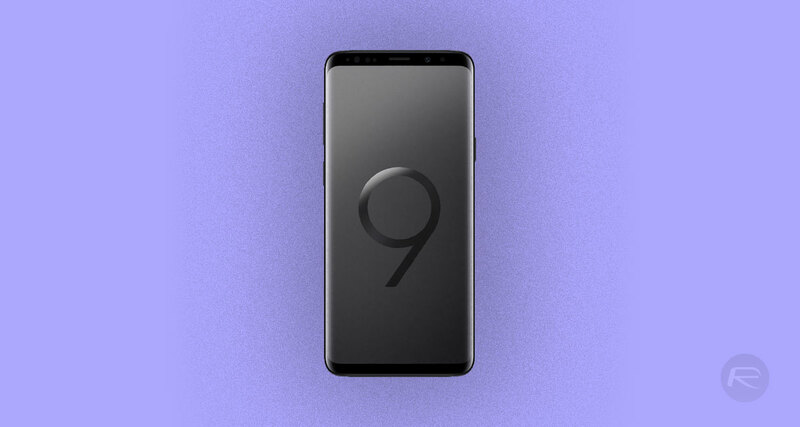 If you are on the lookout for a brand new Android smartphone and are shopping at the high end of the market then you don’t really need to look that much further than the Galaxy S9 and Galaxy S9+ right now. Google’s Pixel 2 is still a damn fine phone and the competition continues to crank out phones that come close to competing, but when it comes to an all round package including a great display, top notch camera and speedy internals there is little to come close to Samsung’s flagships. Unfortunately, reports have already suggested that sales are not as great as Samsung might have hoped, so what’s next? The smart money is on Samsung following its own pattern of launching a new Active version of its flagship phone, and that’s exactly what is being rumored right now. A more rugged, slightly redesigned version of the existing Galaxy S9, the Galaxy S9 Active may also have just enough about to to perk up any lagging sales the current handsets are suffering from. The folks over at Ready Tricks have also now posted photo of what is claimed to be the unannounced device’s hardware specifications as well, although it is unclear where the image came from. The site itself says that the image “surfaced online”, suggesting it was not one that was provided to it initially. Still, everything looks to be just about where we would expect it to be including the SM-G893 model number. 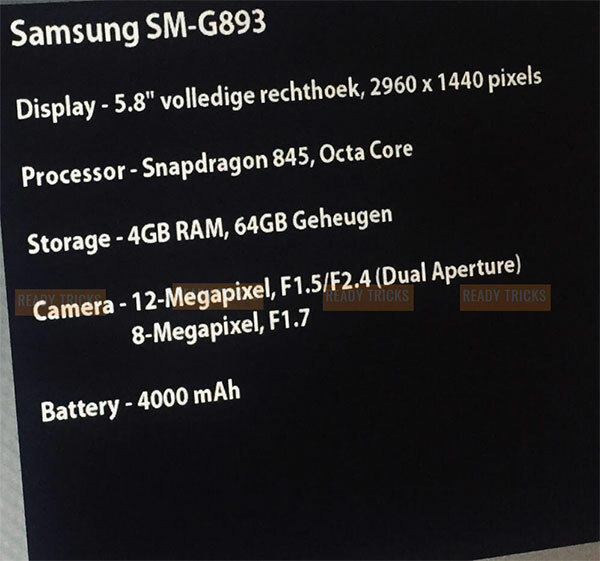 If the photo is legitimate, then the Galaxy S9 Active will sport a Snapdragon 845 CPU along with a 12-megapixel rear facing camera and an 8 megapixel camera up front. A 4,000mAh battery will power the 5.8-inch Super AMOLED display, too.